Why Choose Weston Plastic Surgery for Breast Augmentation? Breast augmentation is one of the special interests and areas of expertise of Dr. Robert Rothfield, our Ft. Lauderdale plastic surgeon. 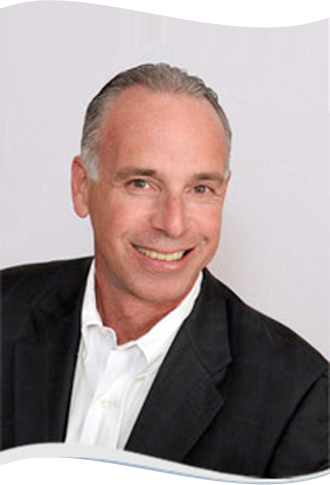 Dr. Rothfield has served as an investigator with both of the FDA studies for the use of silicone gel breast implants. Over the course of his twenty years as a plastic surgeon and through his experience with hundreds of patients, Dr. Rothfield has honed his skills working with both saline and silicone breast implants. His approach combines both an artistic eye with a listener’s ear, and incorporates implant sizers, in both his office and in the operating room, to find that perfect implant shape and size for his patients. In the operating room, prior to finishing a breast augmentation surgery, Dr. Rothfield will sit all of his patients up (while they are still asleep) and confirm that the shape of the breast is as good sitting up as it is lying down. 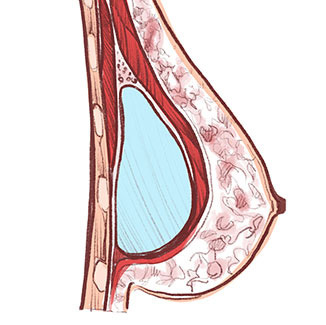 In addition, candidacy will vary based on the different breast implant types. Patients must be at least 18 years or older to receive saline implants, while silicone implants are recommended for those who are at least 22 years of age. Depending on your individual needs and goals, Dr. Rothfield may recommend you combine breast augmentation with another procedure, such as breast lift surgery, to help you achieve your desired outcome. The best way to find out if you are a good candidate for breast augmentation is to schedule a complimentary consultation with Dr. Rothfield at Weston Plastic Surgery. Breast augmentation surgery is performed under general anesthesia as an outpatient procedure at the Surgery Center of Weston. To begin the surgery, Dr. Rothfield will carefully make incisions in the location that was predetermined during your consultation. The breast implants are then inserted through these incisions and placed in the most natural-looking position. If silicone implants are being used, they are pre-filled before placement. Saline implants, on the other hand, can be filled after they have been inserted. Dr. Rothfield will discuss the pros and cons of each implant type so you are well-informed about what to expect. Once the breast implants have been placed in the ideal location, the incisions are closed. The entire breast augmentation procedure typically takes about one hour to complete. You should be able to return home the same day and will have a post-operative visit the next day. This follow-up appointment allows Dr. Rothfield to verify you are healing properly, and he can answer any questions you may have about your recovery. Silicone breast implants are back! In November 2006 the FDA approved the MemoryGel® silicone breast implants for breast augmentation in the United States. In 1994, all silicone breast implants were taken off the market in the United States as a result of safety concerns. It was believed that the implants may have been causing illnesses in some women who had received them. Subsequent studies have conclusively shown that silicone had not caused any of these illnesses and that silicone was safe to use for breast augmentation. Based on these studies, the FDA made the decision to release the latest generation silicone implants for public use. The new MemoryGel® silicone implants are very different from those implants that were used up until 1994. The old silicone implants had a thin outer shell and were filled with liquid silicone that had a honey or molasses-like consistency. As these silicone implants aged over time the outer shell occasionally broke down and released the liquid silicone into the surrounding tissue. Although not dangerous, this was an unwanted potential problem. The current silicone implants have markedly more durable outer shells and are filled with a cohesive, gelatin-like silicone that acts as a solid rather than a liquid. In the unlikely event that the implant shell were to break, the silicone holds together uniformly and does not leak out into the surrounding tissues. Saline breast implants are among the most well-studied medical devices and have a proven safety track record. These implants are FDA-approved and are filled with a saltwater solution similar to the fluid that makes up most of the human body. Although saline implants have a slightly firmer feel than silicone implants, they also have a number of advantages. Because saline implants are filled at the time of surgery, the filling volume can be adjusted during surgery, giving the surgeon and patient greater flexibility in achieving the perfect size. And, because saline implants are not pre-filled, smaller incisions are often possible. Both saline and silicone implants come with many implant projection options such as Moderate, Moderate Plus, High Profile, and Ultra High Profile. These different projection styles provide the means to achieve the best fit for a given body type. All of our implants, both saline and silicone, come with a free limited warranty and lifetime product replacement policy from the manufacturer. In the beginning of your breast augmentation recovery, it is normal to have some degree of swelling and bruising, but this should gradually fade as your body heals. Patients often experience moderate discomfort for the first two days, which can be managed with pain medication. You can expect to return to work and driving on your fifth day of recovery, as you should feel more like yourself. To ensure you are allowing ample time for your body to recover, Dr. Rothfield advises patients wait two weeks before attempting light exercise. Full exercise can be resumed at the end of the first month after your breast surgery. Throughout your recovery, you will be directed to perform gentle breast massage to promote a healthy recovery and produce an optimal aesthetic result. 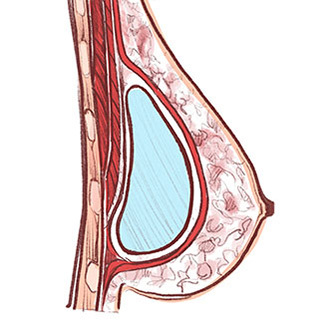 This routine practice can also help you avoid the complication of capsular contracture, which occurs when scar tissue tightens around the implant, creating a hard and sometimes misshapen outcome that can require revision breast surgery to correct. During your consultation, Dr. Rothfield will use the information he has gathered to provide you with an accurate quote for the price of your custom-tailored breast augmentation surgery. If you are interested in plastic surgery financing to help with the cost of your procedure, we encourage you to ask us about loans available through CareCredit®, ALPHAEON™ CREDIT, or LendingUSA®. For qualified applicants, these third-party lenders offer affordable loans and flexible payment plans that can make plastic surgery procedures more accessible. For your convenience, we also accept payment with major credit cards. We invite you to view breast augmentation before-and-after photos of Dr. Rothfield’s actual patients. Our digital photo gallery offers you the opportunity to see the variety of results that are possible with a custom breast augmentation.